I wanted to feel different about my life. I wanted to feel excited & inspired & empowered to authentically show up in the world, everyday. So I disassembled what I knew to be true & rebuilt my foundation from the ground up with relentless honesty. And now I design adventures that help uninspired women find the clarity, confidence & empowerment to get unstuck & live the lives they deeply desire. Solo travel transformed my life & all that I thought to be true. 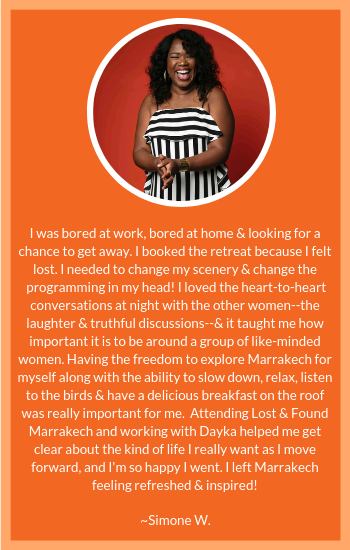 Now I help women transform their lives through the power of soulful, culturally-immersive, international adventures.